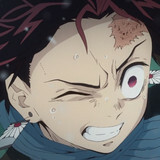 A new anime season is upon us, and the last week has featured a striking array of premieres in all number of genres. Sifting through all those new shows to find the seasonal gems can be a challenge, but fortunately, I've already surveyed the terrain, and returned with fresh recommendations for all you readers. Today on Why It Works, let's highlight some of the most promising premieres of the spring season! Here are some necessary tools to survive any bizarre adventure, as we crack the spine of JoJo's Bizarre Survival Guide! 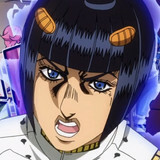 From killer babies to evil birds, the resident dangers of any bizarre adventure are as unexpected as they are plentiful. Fortunately, with the proper tools, any committed hero can be made ready to expect the unexpected, and see enemy Stands wherever they lie. 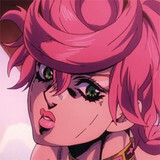 Today let's equip ourselves with those tools, as we browse through JoJo's Bizarre Survival Guide! 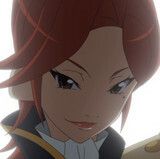 Revolutionary Girl Utena's Ikuhara is Directing an Anime this Spring! As we approach his new Sarazanmai, let's explore the brilliant career of Kunihiko Ikuhara! This spring season is packed with exciting properties of all shapes and sizes, but few possess the creator pedigree of Ikuhara's Sarazanmai. From Revolutionary Girl Utena through Yurikuma Arashi, Kunihiko Ikuhara has directed some of the most creative, insightful, and poignant anime of all time. Today let's run through his dazzling career, and try to discover what we can expect from his latest production! Cowboy Bebop's Shinichiro Watanabe is Directing an Anime this Spring! Today let's celebrate the career of one of anime's brightest stars, as we approach the premiere of his newest production! Shinichiro Watanabe is a household name amongst anime fans, with his classics like Cowboy Bebop and Samurai Champloo inspiring a whole generation of fandom. 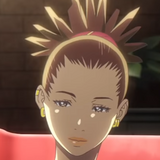 But Watanabe's work since has been equally compelling, and this spring, all of his influences will collide in the new Carole & Tuesday. 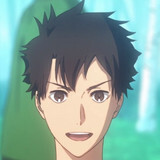 Today let's explore the career of this anime titan, and try to figure out what we can expect from his latest show! We Are Stronger Together in the Anime Run with the Wind! Today let's explore the core themes of this season's most thrilling sports adventure! Though it's natural to see running as a solitary activity, Run with the Wind earnestly believes that even when it comes to running, we are stronger together. Through the course of its winding narrative, it has built up a team of runners who utterly trust each other, and whose mutual faith has actually brought them to a greater understanding of themselves. Today on Why It Works, let's explore the core thesis of Run with the Wind! Why You Need to Catch Up on the Run with the Wind Anime! 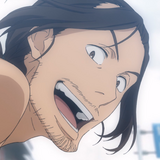 Today, let's run down the many merits of this season's hottest sports anime! Ever since the beginning of the fall season, Run with the Wind has been steadily impressing me with its wonderfully realized characters, warm sense of atmosphere, and ability to make both the tactical and emotional drama of relay running utterly clear. Today on Why It Works, let's explore just a few of the highlights of this terrific show! Today let's celebrate some of the very best parents in anime! Inspired by the dubious mentorship of Reigen Arataka, today we'll be taking a journey through some of the best anime parents of recent years. Whether your family is composed of mostly dragons or entirely tanukis, great parenting is integral to a loving family. Let's celebrate those relationships that make our favorite families shine! Today let's explore the thoughtful characterization of this season's strangest anime parent! 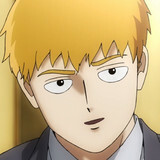 Though he's not literally Mob's father, Reigen Arataka's mentorship comes closer to portraying a messy yet loving parental bond than the vast majority of seasonal anime. 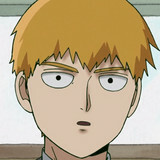 Today on Why It Works, let's explore how Mob Psycho 100 illustrates the complex trials of Reigen, and his struggles to become an adult that Mob can believe in! Today let's celebrate those times when utter lunacy wins out in the end, and JoJo's adventures earn their bizarre title! 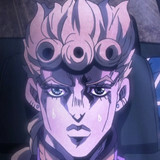 JoJo's Bizarre Adventure is always presenting a strange balance of tactics, suspense, and bizarre narrative invention. But there's a difference between "you underestimated my powers" and "my hand is a squirrel, deal with it," and today we're celebrating those times JoJo entirely crossed that line. Today on Why It Works, let's celebrate JoJo's most truly ridiculous moments! The Magnificent Kotobuki and its High-Flying Director Have Arrived! Let's explore the brilliant career of the man behind Crunchyroll's newest acquisition! At long last, this season's whimsical dogfighting extravangaza has arrived on Crunchyroll. 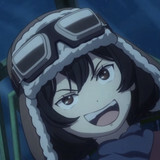 The Magnificent Kotobuki is here, and is already demonstrating it's a fine addition to its creator's formidable roster. Today let's explore the rich career of the man behind this show, Tsutomu Mizushima! 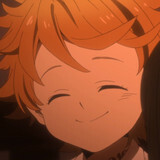 Today let's explore how The Promised Neverland's anime builds on the manga to craft its own identity! 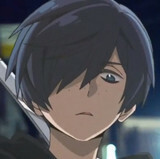 The trick to a great anime adaptation is not perfect loyalty to the source material—it demands grappling with the diverse strengths of each medium, and shaping the narrative to make the most of its new home. 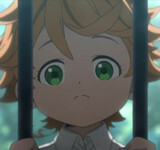 Today on Why It Works, let's explore how The Promised Neverland's adaptation adjusts the focus of the manga, and explore how each of these mediums bring their stories to life! Today let's explore the thrilling Mob Psycho 100's perspective on what it means to be strong! 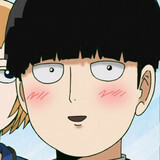 Though Mob is blessed with profound psychic powers, he seems incapable of taking much pride in that fact. That is no accident - it's a sentiment central to Mob Psycho's perspective on power, and what it means to grow or be strong. Today on Why It Works, let's explore how this exciting and thoughtful show truly defines personal strength! Today, let's highlight some fresh new hits as we explore the bounty of the Winter season! With virtually every premiere having debuted at this point, the winter season is already presenting an imposing pile of watch-worthy shows. Today on Why It Works, let's highlight just a few shows worth watching this season, and hopefully give you some more favorites to look forward to! Today let's explore how the first episode of Mob Psycho II exemplified all of this show's formidable strengths! Mob Psycho 100 made a big splash when it first came out in 2016, but a great first season doesn't guarantee a great sequel. Fortunately, I am happy to announce that at least so far, Mob Psycho II is living up to all the grand promise of its predecessor. Today on Why It Works, let's explore how this new season exemplifies Mob's greatest strengths!